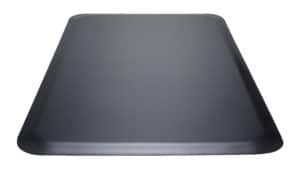 There are many kinds of anti-fatigue mats available on the market. 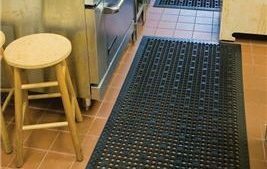 They are designed to prevent stress in commercial and industrial settings where employees and customers need to stand for long periods of time. 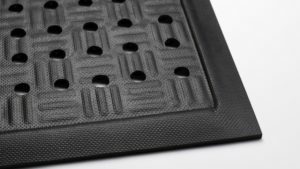 When you place rubber anti-fatigue mats, you encourage subtle movements of the leg, so the blood flows easier back to the heart. 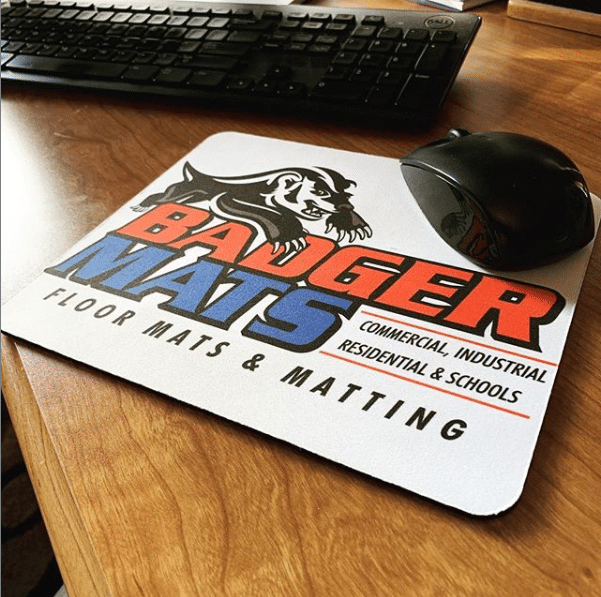 This is what you call “dynamics ergonomics.” These anti-fatigue mats can reduce the fatigue level by 50% and boost productivity. 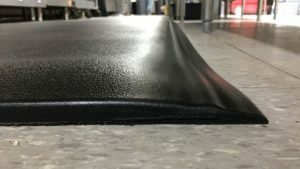 Needless to say, these are the answer to ensuring comfort in the workplace when your employees are on their feet for long periods of time. 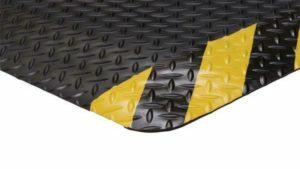 These anti-fatigue mats in the workplace are available in different patterns, thickness, colors, and designs to fit just about any work environment. 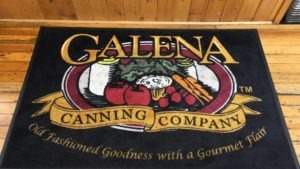 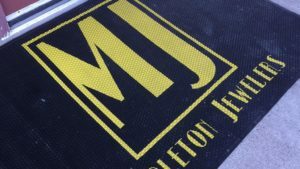 We have a collection of commercial and business floor mats that will complement your space. 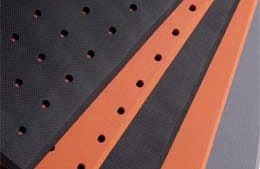 They can help provide support to the feet and back while boosting morale and comfort. 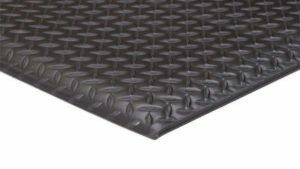 Additionally, we also have ergonomic flooring for wall-to-wall coverage. 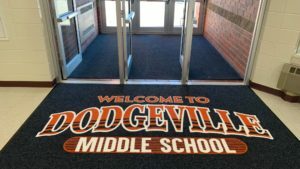 We can custom create anti-fatigue mats for non-rectangular spaces as well. 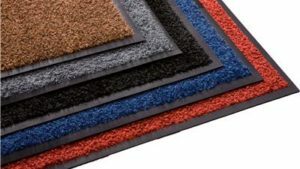 Our rugs are of excellent quality and effectiveness. 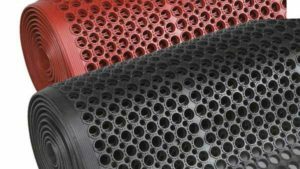 They are also safe and hygienic. 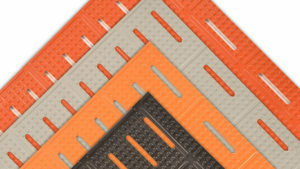 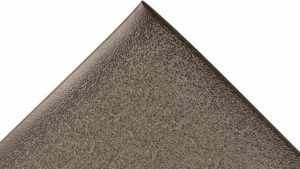 Do you need help with the process of installing these anti-fatigue mats for office or workspaces? 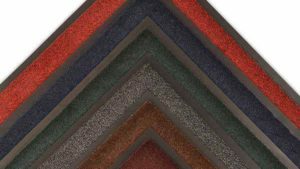 We will consult with you over every aspect of this project, thus ensuring that you get the best mats that meet your requirements. 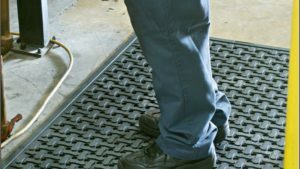 By intelligently placing outdoor rubber matting and front door mats, you get to ensure people’s safety. 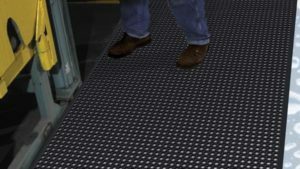 They also remind people that they are entering a professional workplace where their safety is valued.